Stitch Story: Painting on Crochet Workshop! This week I had the pleasure to teach a crochet workshop to members of the Kuwait Textile Arts Association, along with some avid crocheters in Kuwait. They crocheted a specially designed motif, then they learned how to paint on crochet and how to stitch their motifs into one of our Stitchable Pendants. I really enjoyed going through the whole process with them from crocheting, to blocking, to painting, and then finishing. One lady painted her motif to match the blouse she was wearing and was able to wear hers right away! 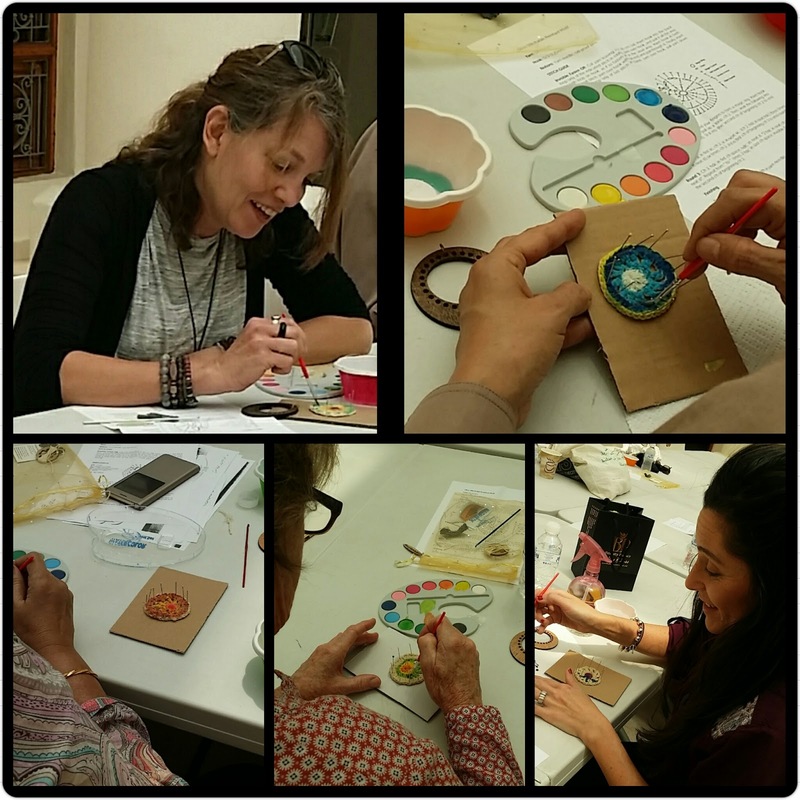 It was great to see how each person put their own personality into their motifs. Each one is unique, different, and beautiful! There were moments during the workshop that you could hear a pin drop! They really got into their work. It was so wonderful to see! 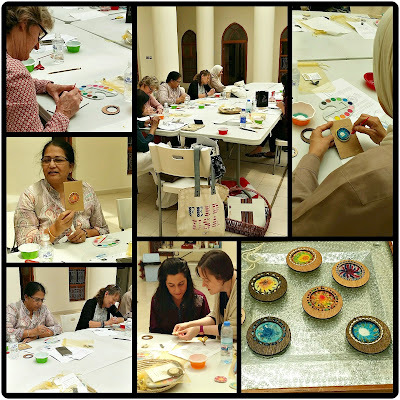 I hope this is the first of a many workshops I will teach at the beautiful Sadu House in Kuwait. 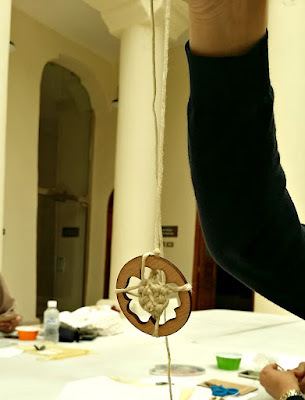 One especially creative attendee, crocheted a pendant out of the wooden piece I had used to wind yarn around for the kits! 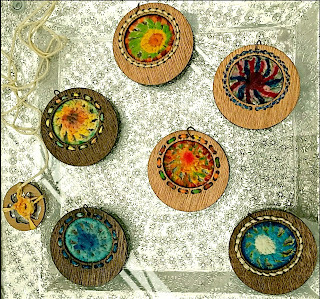 Here are some of the completed pendants from the workshop. See the unique personality in each! Very pretty work by everyone - love the niche you have found by combining the two craft interests. Community Involvement Through Fiber Arts!